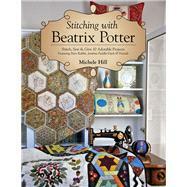 Michele Hill began her quilting journey in 1986 and has been addicted ever since. Appliqué is her passion—especially designing appliqué quilts inspired by William Morris. She has been teaching appliqué for twenty years. Michele lives in South Australia.